University preparatory courses in Germany are not offered by all the universities there. 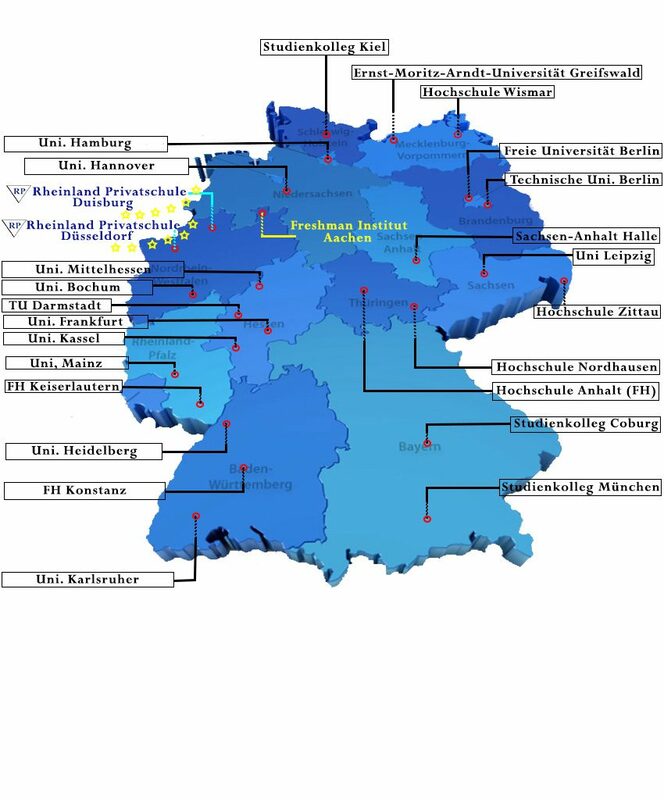 In the picture below you can find all the state and private universities and institutes, that offer Studienkolleg courses. It is important to know, that you need to pass an assessment test (Feststellungsprüfung) at a public university and not a university of applied sciences, if you want to study at a university. In case you want to study at a technical university or a university of applied sciences or other type of university, your assessment test at a public university will be approved. Because of the numerous applications, there are not enough places at most public Studienkolleg institutes. 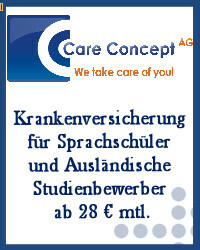 Therefore, there are some private schools, that prepare students for the assessment test (Feststellungsprüfung). However, only the preparatory course can be done at a private institute. The assessment exam can only be held at a public university. Below you can find the complete map with all public and private Studienkolleg institutes.